Neil took a double first class honours degree in Law from Christ's College, Cambridge University in 1986, and was then called to the Bar in 1987. He began practice at 4-5 Gray’s Inn Square in 1988, specialising in commercial law and public and EU law. He moved to Brick Court Chambers in 1994, where he now specialises in all types of commercial litigation and arbitrations. He was awarded Legal 500’s International Arbitration QC of the Year for 2015. Neil is an extremely versatile advocate and at any one time he has a very wide ranging caseload of commercial disputes at both first instance and appellate level, as well as by way of international arbitrations. This versatility, allied to an extremely high win-rate, is demonstrated by the fact that he consistently appears each year in no fewer than 6 separate categories of expertise in both the Legal 500 and Chambers & Partners Guides to the leading barristers (Commercial Litigation; Insurance and Reinsurance; Banking & Finance; International Arbitration; Aviation and Professional Negligence). Neil won the award of Legal 500's International Arbitration Silk of the Year for 2015. In particular, much of Neil’s time is now occupied by international oligarch disputes, both in the High Court, in overseas jurisdictions (such as the BVI and Gibraltar) and in international arbitrations, in relation to disputes worth as much as US$47 billion (he is currently acting for respectively Russian, Chinese, Ukranian, Georgian and Indian business oligarchs). Most recently, in SCM Financial Overseas v Raga  EWHC 1008 (comm), Neil acted for Raga in upholding a $1 billion dollar arbitration award and defeating a challenge under section 68 of the Arbitration Act 1996. The arbitration concerned the sale by Raga Establishment Limited of the privatised Ukrainian telecoms company, Ukrtelecom, to SCM, a company controlled by Ukrainian oligarch Rinat Akhmetov. Neil frequently acts as Leading Counsel and as an arbitrator in a wide variety of international commercial arbitration disputes, including LCIA, ICC and Hague arbitrations. Neil acted as Leading Counsel for the successful appellants (AGF) in the landmark case of WASA and AGF v. Lexington  UKHL 40, being the very last case decided by the House of Lords (before the establishment of the new Supreme Court). Using his strategic and cross-examination skills practised at the commercial bar, Neil also now acts in high profile competition law cases, most recently acting for the successful Claimants, iiyama, in its follow-on damages claim before Morgan J (in the Chancery Division) concerning LCD screens, defeating Samsung and LG’s strike out /summary judgment applications, despite the fact that just one day earlier Mann J (also in the Chancery Division) had struck out similar claims in the cathode-ray tube (CRT) sector:  EWHC 1980 (Ch). Neil then subsequently represented iiyama in its successful Court of Appeal hearing:  EWCA Civ 220. Neil’s legal background means that when a public or EU law point arises in the context of a commercial dispute, he is very comfortable in dealing with all aspects of such a dispute. In September 2009 Neil was appointed as one of 70 Crown Court part time Judges (Recorder, Crime, SE Circuit) out of 1,000 applicants for the post. He spends 3 weeks each year in this role. Neil is also called as a Barrister to the Eastern Caribbean Supreme Court (British Virgin Islands) and also to the Supreme Court of Gibraltar. Neil has conducted cases at both first instance and appellate level in both jurisdictions. These high value, complex commercial disputes frequently throw up critical strategic and tactical issues relating to matters such as jurisdiction, security for costs, strike out and summary judgment. Neil is particularly adept at advising on case-winning strategy: "Super-good with clients, he wins their confidence very quickly." "He has always been very much a hands-on silk, and he gives very good commercial, strategic advice." 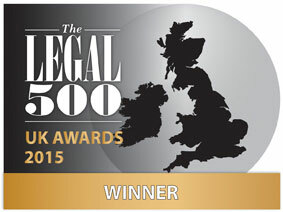 (Chambers & Partners 2015); “Insightful and very good at strategic work” (Legal 500, 2015). Neil is also skilled at distilling the essence of a highly complex commercial dispute and making his client’s case appear attractively straightforward to the court: "He is bright and hard-working, and can be relied upon to give advice on complex issues in a straightforward and uncomplicated manner." (Chambers & Partners 2015). Neil is currently acting in two high profile arbitrations for two of the top ten wealthiest Ukranian oligarchs in the world in their multi million dollar disputes (alleging fraud) with other oligarchs. ; and acting for Saudi Oligarchs against Chinese Fraudster in respect of a billion dollar claim (2018). On 10th February 2014 Eder J, sitting in the Commercial Court in London, gave judgment against Georgy Urumov for just over US$151 million. At the same time he gave judgment for just under US$37 million against Yulia Balk (“the Otkritie trial”). Neil successfully defended a Russian oligarch in the Gibraltar Supreme Court before Jack J. and also successfully before the Gibraltar Court of Appeal in respect of the alleged laundering of funds in Gibraltar arising out of the Otkritie trial (2015-2016). Burton J has handed down an important judgment  EWHC 1989 (Comm) in respect of a $60m dispute on the proper approach to granting leave to serve a claim form outside the jurisdiction, as well as the common law test for identifying the forum conveniens in international disputes. Neil succeeded in preventing a claim from being heard in England for $30m of interest. The judgment also raises the very interesting issue of whether the fact that cross-examination is available in England, but not in another jurisdiction, is a legitimate (or indeed decisive) ground for finding that an English court is a more appropriate forum than a foreign court. Neil recently appeared before the BVI Court of Appeal in respect of a dispute between Millicom and Golden Globe/Manji over the ownership of the majority shareholding in the largest Tanzanian telecoms company. Millicom allege that the shareholding has been dishonestly expropriated from it by the Defendants and it has sought to bring proceedings in the BVI because any claim in Tanzania would suffer from endemic corruption amongst the judiciary (2016). Neil acted for Ardila and Zamin in their multi-million dollar dispute with ENRC over an iron ore mine in Brazil. The case settled shortly before trial (2015). Neil acted for a Russian Oligarch in respect of a complex claim under share purchase agreements concerning electricity contracts (2015). In particular, in the past 5 years, much of Neil’s time has been occupied by Russian Oligarch arbitrations, a number of which (above) are ongoing. One of these concerned the largest claim ever to be arbitrated in the UK, involving a dispute over contracts worth some US$47 billion. Such is Neil’s reputation that he has also acted for well-known celebrities of the day in their commercial disputes – such as Sir Elton John in his widely publicised professional negligence litigation against his former auditors, PriceWaterhouse Coopers: John v PWC  EWCA Civ 899 (CA) and  1 WLR 953 and for Dieter Bock, the German industrialist arising out of a number of commercial disputes with Tiny Rowland, for example: Rowland v Bock  4 All ER 370 - to the wealthiest men in the world. As well as maintaining his busy practice as Leading Counsel, Neil frequently sits as an international commercial arbitrator. For example, he recently sat on a Hague arbitration panel involving an international commercial contract dispute; and he recently published an Award as the QC Chairman on an arbitration panel with Sir Simon Tuckey and Sir Gordon Langley in relation to an international commercial satellite dispute. "One of the go-to silks of his generation"
"A barrister with a “fantastic legal brain” and “the ability to run rings round the other side." Neil is equally at home with an LCIA arbitration, a Bermuda Form arbitration or an ICC arbitration, having acted as an advocate and an arbitrator in all such types of arbitration. On 10th February 2014 Eder J, sitting in the Commercial Court in London, gave judgment against Georgy Urumov for just over US$151 million. At the same time he gave judgment for just under US$37 million against Yulia Balk (“the Otkritie trial”). Neil successfully defended a Russian oligarch in the Gibraltar Supreme Court before Jack J. and before the Gibraltar Court of Appeal in respect of the alleged laundering of funds in Gibraltar arising out of the Otkritie trial (2016). Neil recently acted for RBRG in its application to set aside and have the court refuse to enforce a Chinese arbitration award on the public policy ground of fraud. The award was an award of damages for RBRG’s refusal to pay the price for the delivery of steel coils. RBRG contended that enforcement of the Award would be contrary to public policy as Sinocore’s claim was based on (admittedly) forged bills of lading (2016). Neil acted as Leading Counsel in respect of a complex claim under share purchase agreements concerning international electricity contracts (2015). Neil acted as Leading Counsel in an international arbitration for a Russian Oligarch concerning a multi-million pound gas and oil dispute (2014). Neil acted as Leading Counsel in an LCIA arbitration which gave rise to difficult and novel disclosure disputes under the new LCIA Rules in respect of a complex dispute between Russian oligarchs concerning shares held under an Investment Services Deed (2013). Neil acted for Equitas in an arbitration concerning the reallocation of losses and alleged refunds owed to it arising out of the subsequent determination that an Original Market loss Warranty threshold had not in fact been reached. Neil acted as Leading Counsel (together with Michael Crane QC) in an International arbitration for a Lloyds' syndicate in first case to determine the meaning of the Original Insured Marine Market Loss Warranty ("OIMMLW") wording in Lloyd's policy; the dispute arose out of 9/11 World Trade Centre terrorist attack. Neil acted as Leading Counsel for War Risks Reinsurers in large-scale, complex market arbitration concerning theft of fleet aircraft in a foreign jurisdiction (Mexico). Neil also acted for the same solicitors in separate successful London market arbitrations for War Risks Reinsurers concerning theft of helicopters in Colombia. Neil also regularly sits as an arbitrator in international arbitrations, including LCIA, ICC and PCA Hague arbitrations. Recent arbitrations where Neil sat as QC chairman include a 3 man arbitration panel (together with Adrian Mecz and Richard Youell) in respect of disputes between underwriters and the coverholder arising under various binding authority agreements. The London market arbitration hearing took place over 5 days. Neil was instructed by Addleshaw Goddard. Neil acted as co-arbitrator in a London market arbitration with Bruce Harris in respect of a dispute arising under a sale agreement, in circumstances where there was a change in control of ownership of the company (2016). Two further recent arbitrations which concluded with awards include Neil acting as the QC Chairman arbitrator on a commercial arbitral Panel with 2 market men (John Emney and Trevor Clegg) in respect of a London market reinsurance dispute and Neil acting as co-arbitrator together with Andrew Lydiard QC in relation to an international reinsurance arbitration. Neil also recently published an Award as the QC Chairman on an LCIA arbitration panel with Sir Simon Tuckey and Sir Gordon Langley in relation to an international satellite dispute. Neil has extensive experience as a trial/arbitral advocate and as an appellate advocate in all areas of insurance litigation, including complex liability, property, contingency, professional indemnity, fidelity, contractors' all risk, and financial guarantee insurance disputes. He has acted in all of the contested arbitral disputes concerning Original Insured Loss warranty Clauses in the past 5 years (of which there have been four), and he is currently acting in a fifth. Neil is also frequently instructed in Bermuda form arbitrations, both as an arbitrator and as Leading Counsel. Indeed, Neil also frequently sits as an arbitrator in relation to insurance and reinsurance disputes. Eastcap v Aon (a Commercial Court Trial before Burton J): The case concerned a contract under which Eastcap was to introduce Aon to major potential customers, including government officials, in Romania, in order that Aon should be appointed to a panel of reinsurance brokers on a compulsory insurance scheme for private households, designed to provide cover against the very high risk of earthquakes and other natural catastrophes in Romania. Eastcap claimed £20m. The case settled after Neil had cross-examined the Eastcap witnesses for 3 days, alleging bribery of public officials in Romania. Acting for the successful insurers in an avoidance case for material non-disclosure before Carr J: Brit v F&B Trenchless  EWHC 2237 (Comm). This is likely to be the last major policy avoidance case brought by Insurers (material non disclosure and misrepresentation). This is the first time an avoidance case has been won by insurers in the Commercial Court in several years. Acted for reinsurers in four connected arbitrations arising out of property damage and delay in start up claims by an insured in Brazil. This consists of both ICC and LCIA arbitrations. Currently acting for the owner of an offshore oil storage platform which collapsed in the North Sea in respect of its construction all risks (“CAR”) insurance claim worth $1 billion: Single Buoy Moorings v Zurich Insurance and others [CL 2015-000536]. Recently represented the successful insurance broker in a negligence action (before Blair J) brought against it arising out of the placing of material damage and business interruption cover: Eurokey v Giles Insurance Brokers  EWHC 2989 (Comm). Recently represented a well known insurance company in a complex LCIA insurance arbitration (before Sir Simon Tuckey, Sir Gordon Langley and William Rowley QC) arising out of a pharmaceutical patent infringement by the insured which resulted in a damages award in the US of $1.6 billion. The case settled satisfactorily on day 3 of the arbitration. Recently acting for the successful Reinsurers in a high-profile insurance market arbitration (with a panel comprising a QC Chairman and two insurance market practitioners), which concerned the construction of an Original Insured Market Loss Warranty, contained in a Marine Offshore Non-Elemental ILW excess of loss reinsurance policy. The claim involved very substantial third-party liability losses arising out of a notorious man-made disaster and the issue of construction concerned the circumstances in which it was open to the parties to depart from the industry loss figure stated in the specified source. This is the fourth leading insurance case concerning the proper construction of Original Insured Market Loss Warranties in excess of loss insurance/reinsurance polices in which Neil has recently been involved. Recently acting for the insurer Tokio Marine in respect of a dispute concerning the Thai Floods in the Autumn of 2011 under a facultative excess of loss reinsurance contract, covering property damage and business interruption losses incurred by Tesco plc and its subsidiaries worldwide. The case settled after a first instance decision in Tokyo Marine’s favour. Recently successfully representing Equitas in an arbitration concerning the reallocation of losses and alleged refunds owed to it arising out of the subsequent determination that an Original Market loss Warranty threshold had not in fact been reached. Recently acting for Aspen in respect of a product liability and public liability claims under a combined contractors’ liability insurance. The case concerns liability and damage insurance claims in respect of the defective installation of roofs on a condominium which blew off in gales in Scotland. Neil came in at the appellate stage and the appeal was allowed in part: Aspen v Adana  EWCA Civ 176 (CA). Recently acted for insurers at trial in the Commercial Court (Eder J) in respect of a coverage issues concerning construction all risks and third party liability insurance risks: Beazley v Al Ahleia. Recently acted in two cases for Infrassure (one an arbitration held in Norway, the other an action in the commercial court) both of which concerned issues under the WELCAR policy wording. One was an arbitration, the other a High Court action (the latter being a dispute concerning coverage under construction all risks insurance and reinsurance policies arising out of the construction of a defective gas pipeline project off Taiwan). Recently acted for the successful insurers in a major insurance market arbitration (Gavin Kealey QC and 2 market men) arising out of the events of 9/11 under the insurer’s Non-Airport Public Liability/Excess Liability insurance policy. Recently acted for an insurer in a major US products/work hazard liability insurance US class action claim which was settled at a mediation just prior to the arbitration. This concerned an international insurance company’s avoidance of a global products/work hazard liability insurance (NY jurisdiction) for material non-disclosure/misrepresentation in relation to a very substantial class action in the US. Neil has acted in many of the leading insurance cases of the past decade. The following cases illustrate the diversity of his insurance practice: acting in Aspen v Pectel  EWHC 2804 (comm) for the successful insurers, Aspen, who avoided liability under a property policy by reason of the late notification of a claim (the most recent and leading case on the breach of a condition precedent to liability): acting shortly thereafter for the successful insurers, Brit, in a further case [Loyaltrend v Brit  EWHC 425 (Comm)] concerning when a policy will fail to respond by reason of failure to give timely notice of a claim; acting for the successful Defendant in BP v GE Frankona  1 Lloyds Rep 537 (concerning the time when declarations had to be made under an offshore fac/oblig construction all risks open cover; Sphere Drake v Orion  1 LLR 1, in which acting together with Jonathan Sumption QC, they persuaded the Court of Appeal to make new law concerning when the perjury of a witness may be imputed to a party who called the witness to give evidence, arising in the context of the run-off of an insurance pool; Eastern European Shipbuilding, a market-wide insurance arbitration between numerous underwriters at Lloyds following the collapse of communism and the break up of former Yugoslavia; AIG v QBE  2 Lloyds Rep 268, a leading case on whether a jurisdiction clause in an underlying insurance policy is incorporated into a reinsurance contract by reason of "as original" wording; Euler Hermes v Apple Corps  EWHC 1584 (Comm), in which Neil acted for Apple Corps in relation to a dispute under a trade indemnity insurance policy; Syndicate 1242 v Morgan Read & Sharman Ltd  Lloyds Rep IR 412, a case concerning whether the claimant, Syndicate 1242 at Lloyd's, had granted a binding authority to the defendants, Lloyd's brokers, to write travel insurance business for the general public in the UK; NLA v Bowers  1 Lloyds Rep 109, which remains one of the leading authorities concerning the application of the House of Lords' decision in West Bromwichand the permissible use of factual matrix material in construing a Lloyd's slip policy; Murphy v Young 1 Lloyds Rep 236, still one of the leading cases on when insurers, funding litigation, can be made liable for the costs of the action. Neil also frequently acts for and against insurance brokers in negligence actions, having most recently successfully defended Giles Insurance Brokers in case referred to above; but also for Syndicate 957 in its negligence action against Aon arising out of the placement of quota share protection, as well as for Equitas in its successful action against its brokers, Horace Holman: Equitas v Horace Holman  EWHC 903 (Comm). Indeed, Neil has been the counsel of choice for Equitas in a wide variety of insurance disputes and reinsurance disputes in recent years, in particular in actions against brokers for the recovery of sums owed pursuant to the Reconstruction and Renewal Assignment at Lloyds. Neil has acted extensively in numerous high profile reinsurance disputes in recent years, both in London market arbitrations and in court proceedings, including some of the leading reinsurance cases of the past decade. He frequently acts for and against Lloyds' insurers and reinsurers as well as the corporate reinsurance market in disputes concerning, by way of example, quota share reinsurances, surplus treaty reinsurances, hull all risks reinsurances and war risks reinsurances (having recently acted for War Risks Reinsurers in a large-scale, complex market arbitration concerning theft of aircraft in a foreign jurisdiction, as well as having recently acted for War Risks Reinsurers in two separate arbitral disputes concerning the theft of helicopters in Colombia). He also regularly acts in reinsurance broking disputes. The strength of his reinsurance practice is demonstrated by the fact that he successfully represented AGF (against Jonathan Sumption QC) in the landmark reinsurance case of Wasa and AGF v Lexington, which was the last case heard by the House of Lords before it became the UK's Supreme Court. This was probably the most important Reinsurance case for a decade, concerning as it did back to back reinsurance and the effect of Vesta v Butcher. Neil successfully acted as Leading Counsel in an international reinsurance arbitration (together with Michael Crane QC) for a Lloyds' syndicate in first case to determine the meaning of the Original Insured Marine Market Loss Warranty ("OIMMLW") wording in a Lloyd's policy; case arose out of 9/11 World Trade Centre terrorist attack. Neil also recently acted for a Lloyd's syndicate in a major market dispute arising under marine excess of loss reinsurances as a result of the events of 9/11. He has also very recently acted in market reinsurance disputes arising out of losses caused by Hurricane Katrina. Some other notably high profile reinsurance court cases in which Neil has acted in recent years (other than arbitrations) include Bonner v Cox  EWHC 2963 (Comm), a multi-party reinsurance trial concerning "writing against" excess of loss reinsurers under the Aon 77 Energy cover; Cottrell v General Cologne Re  EWHC 2402 (Comm), a dispute arising out of the cession under a quota share reinsurance of a large quantity of US D&O high tech and dot com risks following the decline of the US equities markets in the late 1990s; Wurttembergische v The Home Insurance Company  Lloyds Rep IR 397 and  LRLR 86, in which a series of complex disputes were determined by the Court arising out of a Reinsurance Pool Treaty. Neil frequently acts as Leading Counsel in high profile banking litigation. For example, he recently acted for various hedge funds in connection with the “haircut” imposed upon them by the Irish Government during the Irish Banking crisis (Satinland v Irish Nationwide BS). acting for a major bank in relation to a dispute concerning difficult questions of contractual construction of a Gas Sales Agreement. Neil also frequently acts in high profile international financial fraud trials, perhaps the most publicised in recent years being the case in which he acted for HSBC in its successful defence to claims of breach of contract and fiduciary duty from various investors, as a result of a fraud perpetrated on the investors by Michael Brown, a Liberal Party donor, using HSBC accounts. This long running litigation required a good deal of strategic thought, and this saw Neil acting on behalf of HSBC in successfully obtaining freezing orders, third party disclosure orders and Norwich Pharmacal relief. The claim against HSBC failed at trial. Neil has a specialist practice in Aviation law, and acts in many of the major aviation market disputes. He also frequently sits as an aviation arbitrator (see above). as Leading Counsel in a major market arbitration concerning the theft of aircraft by flying them to Iran; he advised Lloyds insurers on the merits and the appropriate strategy concerning the hull policy to which they subscribed. in large scale market aviation arbitrations, including the alleged theft of a fleet of aircraft in Mexico and two separate arbitrations concerning the theft of helicopters in Columbia allegedly by FARC guerrillas. Neil's successful arguments in the latter case led to a change in the way that the London Hull and War Risks Reinsurers approach the issue of apportionment of liability between them in the case of helicopters which are frequently stolen in Colombia. in the successful resolution of a protracted dispute between insurers and the executors of the estate of a deceased pilot and his passengers, arising out of the crash of a bell helicopter in Somerset. for a well known helicopter manufacturer concerning questions of construction arising out of contract for sale and operation of helicopters by a Police Force. Acting for HSBC in highly publicised negligence action brought by investors (including the then Chairman of Manchester United) who were defrauded by Mr. Michael Brown via accounts opened with HSBC. Acting for Brewin Dolphin in relation to negligence actions brought against them arising out of the notorious split capital investment trust advice. And most recently successfully acting for an insurance broker in defending a claim of professional negligence at a commercial court trial: Eurokey v Giles Insurance Brokers  EWHC 2989 (Comm). Neil also has a specialist Sports law practice, having frequently acted in recent years in Formula One disputes and football disputes. Neil first acted for the Williams Formula 1 team in their dispute with their Chief Engineer, Adrian Newey, when he announced that he wished to leave Williams to take up a similar role at McLaren. This raised issues concerning the law of confidentiality, restraint of trade and other delicate contractual issues. Williams successfully enforced a 2 year period of "gardening leave" for Mr. Newey, thereby safeguarding the trade secrets of the Williams car and engine. Thereafter, Neil has continued to act for Williams in a wide variety of Formula 1 sporting disputes, has acted for Cosworth, the Formula 1 engine suppliers, and he has also acted for McLaren and others in relation to racing disputes. Neil also has extensive experience of legal disputes in the world of professional football and has recently acted for, amongst others, Reebok in a major sponsorship dispute with Liverpool Football Club, and for Cargiant in a sponsorship dispute with Queen's Park Rangers Football Club. So far as Neil's media and entertainment law practice is concerned, Neil frequently acts for high profile popular musicians and some of his best known cases include acting for Sir Elton John in his professional negligence action against PricewaterhouseCoopers  EWCA Civ 899; for Michael Bolton in his copyright infringement dispute with EMI and for Chris De Burgh in his copyright and contractual dispute with Tring Records. Neil is currently acting for the Claimants (iiyama) in a competition damages claim against Samsung and LG Displays in the Chancery Division arising out of an unlawful cartel concerning LCD screens. Neil successfully defeated a strike out application before Morgan J just 2 days after a near-identical claim was struck out by Mann J concerning the same client, not represented by Neil: see Iiyama v Samsung  EWHC 1980 (Ch). Neil then subsequently represented iiyama in its successful Court of Appeal hearing:  EWCA Civ 220.This important judgment concerns the question of whether losses suffered as a result of indirect sales into the EU at inflated prices by reason of a worldwide cartel are recoverable under Article 101 of the Treaty on the Functioning of the European Union. The court held that they arguable are so recoverable. Neil has recently advised on the effect of the EU Directive concerning Life Assurance in the context of pension transfers. He has also recently acted in an number of high profile EU pharmaceutical claims, including obtaining an injunction (Mr. Justice Lewison) on behalf of Intecare Direct Limited, a pharmacy and homecare services provider, against the pharmaceutical company, Aventis Pharma Limited (trading as Sanofi-Aventis), ordering Aventis to continue supplies to Intecare pending a further hearing in the matter. The basis of the application was that, prima facie, Aventis was in a dominant position in the relevant market for the medicine in question (Copaxone used for multiple sclerosis patients) and was abusing that position in refusing to deal with Intecare, a customer for some time already, as well as in pressurising hospitals/patients not to deal with Intecare. After a contested hearing and argument concerning Article 82 of the Treaty and section 18 of the Competition Act, Lewison J granted a mandatory injunction compelling Aventis to continue to supply Intecare with the drug. Neil is comfortable acting in EU law cases which require quick mastery of technical subject matter. For example, he recently acted for Intel Corporation in its major High Court litigation against VIA technologies in relation to a challenge by VIA against Intel's refusal to license VIA with its technology patents under Article 81(1) and 82 of the Treaty. This required quick mastery by him of highly sophisticated computer technology systems (in particular microprocessors and chipsets) and the application of the law to those systems (including intellectual property law, as well as EU law principles). Neil is also used to acting successfully for the underdog against the regulators. For example, he acted (in Woolcombers v Yorkshire Water) in a case in which the largest woolcombing business in the UK challenged under EU law (alleging an abuse of a dominant position) Yorkshire Water's charging structure for the treatment of trade effluent in the wool sector, which again required the marshalling of complex expert economic evidence. The case was settled after Woolcombers successfully resisted Yorkshire Water's application for summary judgment. In his first 7 years at the Bar he became one of the leading juniors in European and Public law and appeared on several occasions during that period before the House of Lords. In particular, Neil played a prominent role in the well-known "Sunday trading" litigation, successfully acting as the advocate for local authorities before the Court of Appeal, House of Lords and European Court of Justice in just his first three years of practice at the Bar. The Sunday Trading litigation raised difficult question of both public and EU law, and led to Neil appearing in the landmark case concerning free movement of goods, namely Council of City of Stoke-on-Trent v B&Q Plc  AC 900; Norwich CC v B&Q  AC 900 (2nd hearing) in which the European Court of Justice, and then the House of Lords, upheld the ban on Sunday trading, which led to a change in the law. In R (Birmingham and Solihull Taxi Association) v Birmingham International Airport Limited(judgment 28/7/09)  EWHC 1913, Wyn Williams J had to consider whether Neil's client, the Airport Authority, in terminating the licence of Birmingham and Solihull Taxi Association (BASTA) (represented by James Goudie QC) to provide taxi services from the Airport taxi rank pursuant to a commercial contract negotiated between them was nonetheless subject to public law duties not to act for an improper purpose and to consult BASTA prior to termination of the licence. The Court held that the Airport Authority was in principle amenable to judicial review but was not a body which had a duty to comply with the principles of transparency under the EU Treaty, with the majority of the Airport Authority's shares being held by private companies. The Court also held that on the facts, there was no evidence that the Airport Authority had acted for an improper purpose, nor that it had failed adequately to consult with BASTA. The claim was accordingly successfully dismissed. This case - concerning as it does the granting of a mandatory injunction in an EU context - attracted a lot of attention in the legal press. Neil acted recently for the Dairy Farmers of Great Britain in resisting EU and public law challenges by members to milk purchasing tie-in agreements. Neil successfully acted on behalf of Kirkless MBC in another landmark public law case in the House of Lords, successfully arguing that a local authority should not have to give an undertaking in damages as the price of obtaining an interim injunction, in enforcing the Sunday trading criminal legislation: Kirklees MBC v Wickes  AC 227. Neil also successfully acted for Wrekin District Council in another high-profile case before the European Court in defeating the challenge under EU law to the local authority's concessionary bus pass scheme, which was limited to men over 65 years and women over 60 years: Atkins v Wrekin DC  All ER (EC) 719 and  ICR 75. Neil's success in resisting the challenge to the ban on Sunday trading under EU law, also led to him acting for a large number of local authorities in cases concerning challenges to local authorities' charter markets rights, both under domestic and EU law. No such challenges succeeded. 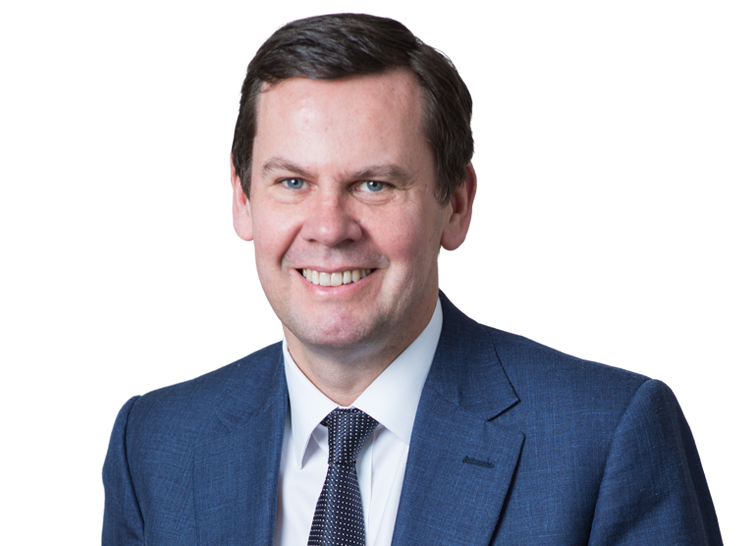 During this time, Neil also acquired a great deal of experience in defending public law challenges to resolutions of local authority committees, on both procedural and substantive grounds in the High Court. Indeed, Neil has acted in a very wide range of public law cases, especially on behalf of local authorities over the years. In particular, he successfully representing Lincoln BC and Luton BC in the Court of Appeal (R v Lincoln City Council ex parte King and Another; R v Luton BC ex parte Mirza) in resisting the challenge to the local authority's decision only to licence as hackney carriages in its borough London style black cabs, which led to a challenge on both domestic and EU grounds. Neil successfully argued the first case in which the courts agreed to order that individual members of an unincorporated association should be liable, jointly and severally, for the costs of a failed public law challenge: R v Darlington Borough Council ex parte The Association of Darlington Taxi Owners, The Times, 21 January 1994. Neil successfully acted for Wellingborough Council in a case before the decision court which laid down the criteria for what constitutes a "reasonable excuse" when accused of committing an offence under the noise nuisance legislation: Wellingborough BC v Gordon  JPL 874. Neil has also frequently acted on behalf of the National Farmer's Union, and, in Hood v NFU, succeeded in defeating a high-profile negligence action brought by a number of farmers in respect of the legal advice given by the NFU concerning the time limits for challenging a government decision concerning milk quotas. Neil also acted in a public challenge to the Law Society's disciplinary powers in R v Law Society ex parte Ingman Foods  2 All ER 666. For a 5 year period Neil was on the Government's VAT panel of chosen counsel and acted for the Government in successfully resisting a number of challenges concerning the levying of VAT, including Manchester & Salford Hospital Saturday Fund v Customs and Excise Commissioners  STC 649 (QBD); London & general Insurance Co Ltd v Commissioners of Customs and Excise  V&DR 191. Neil was recently profiled by Newton Arbitration in its renowned “Profiles in Law” series as a Leader in the field of arbitration; the link to the profile is attached here. SCM Financial Overseas v Raga  EWHC 1008 (comm): Neil acted for Raga in upholding a $1 billion dollar arbitration award and defeating a challenge under section 68 of the Arbitration Act 1996. The arbitration concerned the sale by Raga Establishment Limited of the privatised Ukrainian telecoms company, Ukrtelecom, to SCM, a company controlled by Ukrainian oligarch Rinat Akhmetov. iiyama v Samsung, Philips & LG  EWCA Civ 220. Neil represented iiyama in the Court of Appeal in successfully resisting the strike out application of Samsung and others in the landmark EU competition law case. This important judgment concerns the question of whether losses suffered as a result of indirect sales into the EU at inflated prices by reason of a worldwide cartel are recoverable under Article 101 of the Treaty on the Functioning of the European Union. The court held that they arguable are so recoverable. Otkritie v Ivory Key (Court of Appeal of Gibraltar [Civil Appeal No. 5 of 2016]; and Supreme Court of Gibraltar [Claim No. 2012 O No. 10]). Neil successfully defended a Russian oligarch in the Gibraltar Supreme Court before Jack J. and also successfully before the Gibraltar Court of Appeal in respect of the alleged laundering of funds in Gibraltar arising out of the Otkritie trial. iiyama v Samsung  EWHC 1980 (Ch): acting for the successful Claimants, iiyama, in its follow-on damages claim before Morgan J (in the Chancery Division) concerning LCD screens, defeating Samsung and LG’s strike out /summary judgment applications, despite the fact that just one day earlier Mann J (also in the Chancery Division) had struck out similar claims in the cathode-ray tube (CRT) sector. Sheikh Mohammed v Sheikh Majid  EWHC 1989 (Comm) in respect of a $60m dispute on the proper approach to granting leave to serve a claim form outside the jurisdiction, as well as the common law test for identifying the forum conveniens in international disputes.